After a sell-out Almeida run, The Twilight Zone will transfer to the West End, and will run at the Ambassadors Theatre from 4 March 2019. Adapted by Anne Washburn (Mr Burns) and directed by the multi award-winning director (winner of 7 Olivier Awards), Richard Jones, this production of the acclaimed classic CBS television series The Twilight Zone is an ingenious mixture of morality tales, fables and fantasy that are as relevant today as when audiences first encountered them. 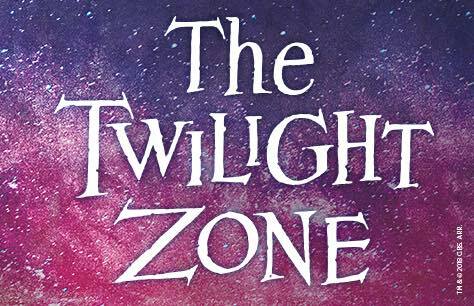 The Twilight Zone is based on original stories by Rod Serling, and two of the most frequent and celebrated contributors, Charles Beaumont and Richard Matheson from the CBS television series. It is one of television's most revered and influential science-fiction fantasy shows and ran on American network CBS from 1959 to 1964, winning 3 Emmy Awards during its 156-episode run. Its incisive parables explore humanity's hopes, despairs, prides and prejudices. With the original series celebrating its 60th Anniversary Year, a new version recently began production and is coming to CBS All Access in 2019 with Jordan Peele serving as host and narrator. The upcoming new series is produced by CBS Television Studios in association with Jordan Peele’s Monkeypaw Productions and Simon Kinberg’s Genre Films. Jordan Peele and Simon Kinberg serve as executive producers along with Win Rosenfeld, Audrey Chon, Carol Serling, Rick Berg and Greg Yaitanes. wonderful setting for a well presented theatrical performance. It’s a fascinating production, the first half is faultless - funny, scary & full of atmosphere. Unfortunately the second half repeats bits we’ve seen then has a depressing overlong section about a nuclear bomb shelter. Another tale of an ageing astronaut is confusing. A ventriloquist doll is introduced but never matches the thrills of the first half. This in an unforgettable play with touches of genius, it just needs a bit of a tweak! Valid Monday - Friday performances until 31 May 2019.